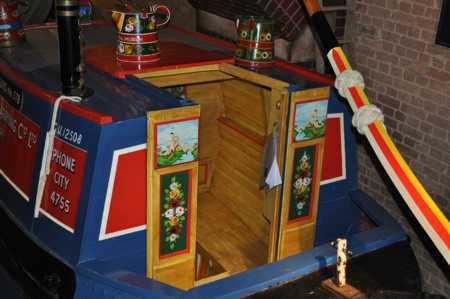 It is very easy to get to London Canal Museum from most of the other major attractions in the London Pass. Travel to or from the following attractions is especially easy by public transport. Bus 17 stops right beside the Cathedral. Take the northbound bus and get off in Wharfdale Road which is the first stop after King's Cross station. It takes about 10 minutes. The Circle Line provides a direct link between Tower Hill and King's Cross stations in about 20 minutes. Walk to the south from the palace to Kensington Road where a No. 10 bus will take you all the way to King's Cross. Then it is just a 5 minute walk to the museum - follow the brown signs. From HMS Belfast use the Northern Line from London Bridge to King's Cross in a few minutes. Al alternative is bus 17 from London Bridge bus station. From Westminster Underground station take the circle line to King's Cross without a change of trains, or, for a faster, more direct journey, take the Jubilee Line to Green Park and then the Victorian Line to King's Cross. Short walk to London Bridge then Northern Line tube to King's Cross. You can walk along the canal towpath to or from the Zoo in about an hour, and that is certainly an attractive way to do it. However, you can also go by bus or Underground. Bus 274 stops outside the Zoo entrance and passes close to the museum in Copenhagen Street. Ask the Driver to tell you when you get to Caledonian Road. The bus crosses over this main road but you need to turn right (south) and walk a short distance, over the canal bridge, then turn right into All Saints Street and walk to the end. The Underground links Baker Street with King's Cross, but you first have to walk from the Zoo to Baker Street. From Kew Gardens station take the London Overground train to Caledonian Road and Barnsbury station. Trains run every 15 minutes. Go down on to the main road and turn to your left. You can either walk for 10-15 minutes or catch any southbound bus - get off at the stop just after you have crossed over the canal, and walk down All Saints' Street. The Foundling Museum. It is about a 15 minute walk and walking is likely to be the best way to get there. You will need to use the map on the London Pass website. You can enjoy a canal boat trip on Jason's Trip using your London Pass, then walk from Camden along the canal to the museum. You can also do this in the opposite direction. You can enjoy a guided walking tour of the canal from Camden to the museum using your mobile phone's web browser. Navigate to www.canalmuseum.org.uk/mobile on your mobile phone and look for the WAPwalk. There is no charge for this but you may have to pay data charges, depending on your phone tarif. For more information visit The London Pass website.